Ms. Champaben K. Patel, age 73 of Stockbridge, Georgia passed away on Monday, April 1, 2019. Ms. Champaben was born on November 1, 1945 in Kasor, India. Her hobbies included cooking, traveling, reading religious books, singing (Bhavgit) and vegetable gardening. She gave unconditional love to everyone. Her family includes her husband Kanubhai U. Patel; son Ambrishkumar Patel; daughter-in-law Malvikaben A. Patel, daughter Malti Patel, son-in-law Jayesh Patel, daughter Raxa Patel, son-in-law Sanjay Kumar Patel; grandchildren Dhara, Ridham, Harsh GA, Harsh NY, Deeti. 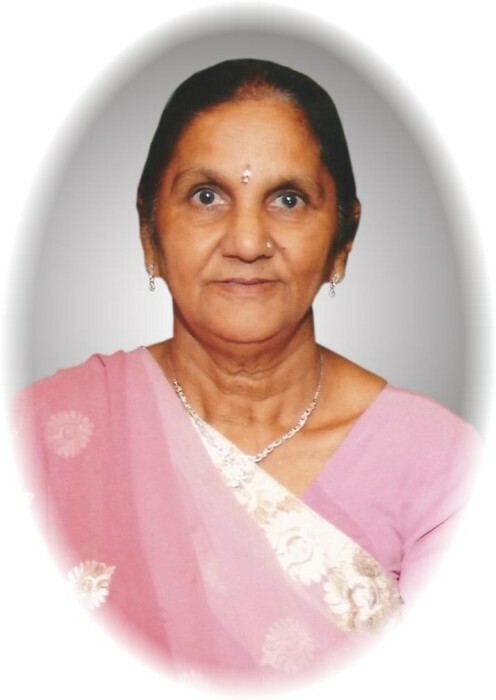 A funeral service for Ms. Champaben K. Patel will be Thursday, April 4, 2019 at 11:00 am in the Chapel of Conner-Westbury.